Everyone that goes to gym would always be chasing for one thing in common, regardless whether its for guys or girls. We all are looking out for that elusive shell hard, ripped six packs abs that would be the envy of other around you. Because of this, we tend to include A LOT of workouts to ensure that we achieve this in our routine. Problem is, should you be doing abs workouts every single day? Most of us would think that the more we work our abs out, the better results we would get in with the shape of our abs. So we tend to include in as much as possible in our workout routine and I too try to do my abs workout every single day in my routine. Been doing some reading around and I have concluded that even though abs are the only part in the body that you can train everyday, doing that would not only result with unnecessary cramps but even a risk of posture and lower back problems because of over exercising. So whats the magic number with abs then? FATS COVERING YOUR ABS should be your concern rather than the workout. No matter how much abs workout you do, nothing will pop out if there is a lot of fat residing under your skin on your belly. So the target is to watch your diet intake and keep the fat percentage clean in your body. 70%o of the battle is in the kitchen guys, not the gym. 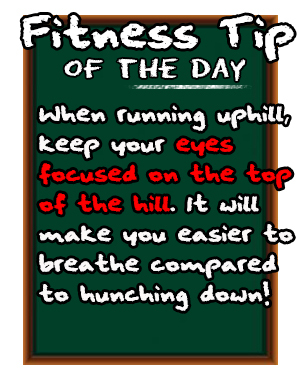 Put more focus on your cardio and food intake to burn them unwanted fats! YOUR ABS NEED A REST PERIOD JUST LIKE ANY OTHER MUSCLE which is the reason why it is important for the abs to rest and recover. Instead of everyday, abs workout can be done once every two days which gives it at least a 24 hours rest period for it to recover and be ripped again in the next workout. DO NOT RELY ON JUST ABS WORKOUT as there are many other workouts that would give a supplementary impact to your abs just as much as your abs workout. Functional and body weight training like dips, pullups, pumping and etc are a number of workouts that will keep your abs tight. I've been studying a lot on a body weight workout routine called calisthenics which is are workouts that rely on handling your body weight rather than using machines. Very inspired with the master of calisthenics now which is Frank Medrano. Go check him out! GO SLOW AND TAKE SLOWER PACES WITH ABS WORKOUT which is something that a lot of people get it wrong because they think that by clocking in more reps as fast as possible you would burn more. This would only results on cheating without actually creating any resistance with your abs. Your sets should be as slow as possible, basically following the "4 seconds contract, 2 seconds release" rule IN EVERY REP and you would see that the results would be a more devastating burn on the abs! I'm off to change my abs routine a little bit. Any thoughts on this guys?